Around the time we start planning our kids’ Halloween costumes, we should also think about that other critical Fall milestone—turning on our furnaces. Dallas heaters might not work as hard as our northern neighbors’ heaters, but they age, break down, and face safety hazards just the same. Regular maintenance helps prevent you from losing heat on a cold winter night, and will help you save on heating bills. But, did you know that as furnaces age, a host of other dangerous problems can crop up? Cracks in aging furnace heat exchangers can leak carbon monoxide into your home undetected. Old wires can fray and catch fire. We inspect our own furnace each Fall before Thanksgiving to make sure everything is in good working order. Yes, we’re in the business, but regular maintenance is inexpensive and well worth the call to a professional. This simple home maintenance item is not too different from having the oil changed in your car. You can put it off, but not for long because there will be a much more expensive problem requiring attention in the future. It won’t be a question of if, but when. 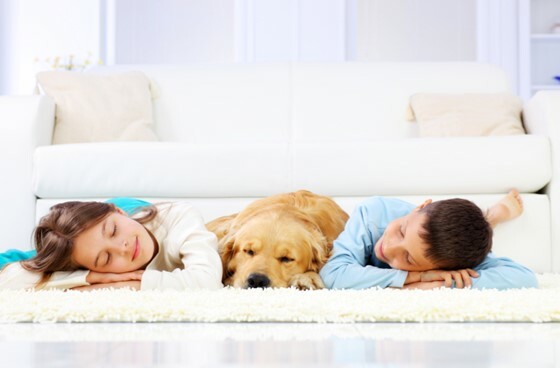 We prefer to avoid the headaches of heating emergencies and potential risks to our families altogether with regular heating tune-ups. Check out the other perks, below.Peace of mind. Maybe your furnace is brand new, or maybe it’s seen better days. With a simple professional inspection, we will help you understand the current condition and any safety issues facing your heater. You’ll rest so much easier with a professional opinion on the operability of your furnace. Save money. Regular Dallas heating tune-ups will also save you up to 15% on utility bills, as units run most efficiently with regular maintenance. Protect your investment. Did you know many furnace and home warranties are contingent upon regular maintenance? Scheduling just two annual tune-ups with the Sirius Comfort Club plan can ensure your warranty remains in effect. Extend the life of your heater. To save the time, money, and environmental impact of replacing your unit prematurely, schedule an annual Dallas and surrounding areas a furnace tune-up. Save even more money. We’re so keen on maintenance we’ve created a special program to bring you discounted seasonal tune-ups. Read more about the Sirius Home Comfort Club here. Members pay less for tune-ups, and save 10% on all other plumbing, heating, and cooling repairs throughout the year. Just give us a call to schedule your tune-up. We’ll get you on the calendar as soon as possible, with a convenient 2-hour appointment window. Our technicians show up on time and treat you like a member of their own family, guaranteed.